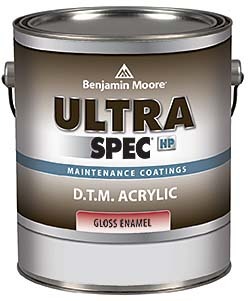 Ultra Spec HP D.T.M. acrylic enamels are low-VOC, professional-quality paint designed to provide rust inhibition for metal substrates and strong color and gloss retention. Formula can be tinted with company's Gennex colorant system. Available in acrylic low luster, acrylic gloss, and acrylic semi-gloss.